My girls love to do craft projects. 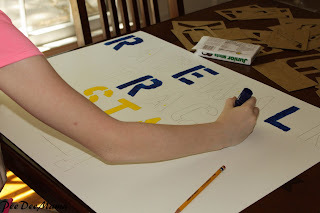 I'm not always a fan of letting them do these projects, though, because I hate the mess that is usually involved. 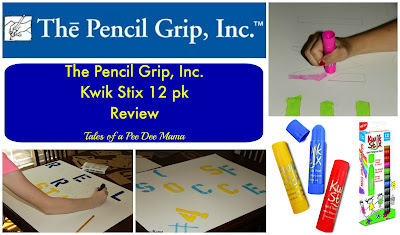 I was extremely excited to try out Kwik Stix 12 pk, no mess kids' art supplies, from The Pencil Grip, Inc.
For this review, we received the Kwik Stix 12 pk. The Pencil Grip, Inc. was also kind enough to include an additional free sample single Kwik Stix in navy blue and an Original Pencil Grip. Let me contrast that with the art projects they created using the Kwik Stix. 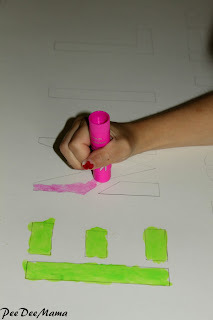 All they needed was paper and the Kwik Stix paint - no brushes, no cups of water. When they were done, they put the Kwik Stix away. The paint on their projects was already dry, so those weren't lying all over either. My stress level was at an all time crafting low! Ha ha! Kwik Stix are a solid tempera paint contained in a capped stick, almost like a glue stick. Like the name suggests, there are 12 colors included in this pack - white, pink, red, orange, yellow, light green, green, light blue, navy blue, purple, brown, and black. They are super easy to use; simply take the cap off, twist to raise the paint to a usable level, and paint. No brushes to clean, no water to be spilled all over the table. The paint dries in 90 seconds, so you don't have to leave wet paintings lying around all day either. I noted that these are a solid tempera paint. I would equate the texture to the same texture as a tube of lipstick. The girls were very excited to start using the Kwik Stix as soon as they arrived. 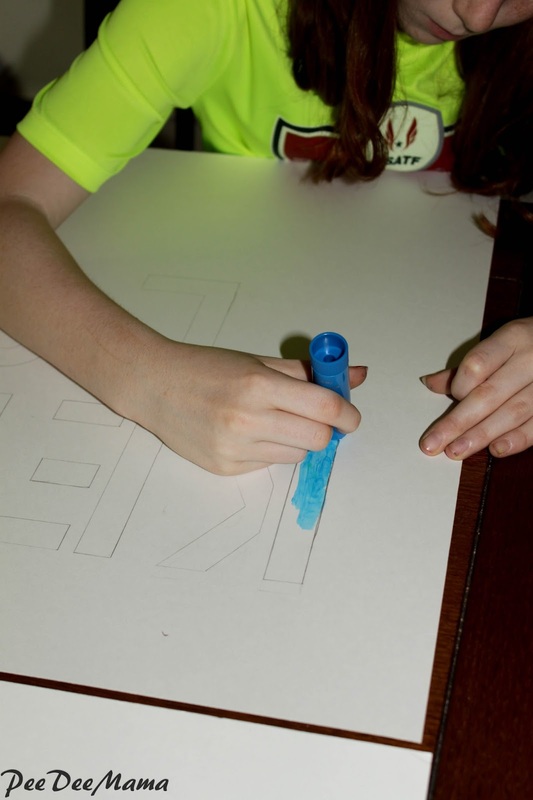 Multiple art projects were created. I probably should buy stock in a company that sells construction paper since that has been their favorite paper on which to create their masterpieces. My hubby is a varsity girls soccer coach at the local high school. Every year for Senior Night, my girls make posters for each of the senior players. Usually they use markers, but this year we used the Kwik Stix. The colors were much more vibrant than markers are. There were no "marker streaks" - you know, the visible marks showing the direction of color. The paints lasted longer than markers; usually by the end of poster making, the markers were losing ink so the color wasn't consistent. With the Kwik Stix paint, we didn't have that problem at all. The last posters made were just as vibrant as the first ones. 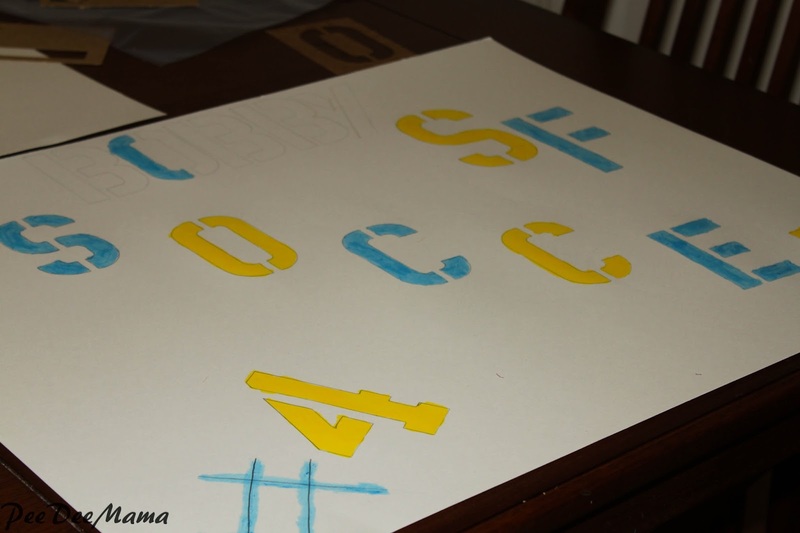 We had leftover posterboard so more signs were made. I definitely think Kwik Stix are a hit with my girls! I have one wish - that these were also available in a thinner form so that they could be used to paint small details as well. I know my girls would find even more uses for them. Kwik Stix are also available in classic colors 6 pk, neons 6 pk, and metalix 6pk. They also offer a 96-piece class set with 8 pieces of each of the 12 colors in the 12 pk. I think I might invest in the class set to use in my co-op class in the fall. Are you interested in what others have to say about Kwik Stix? Check out more reviews from the Homeschool Review Crew.